Info: Michael's shoe as he carried the Bulls to a NBA record 72-10 season in 1996. 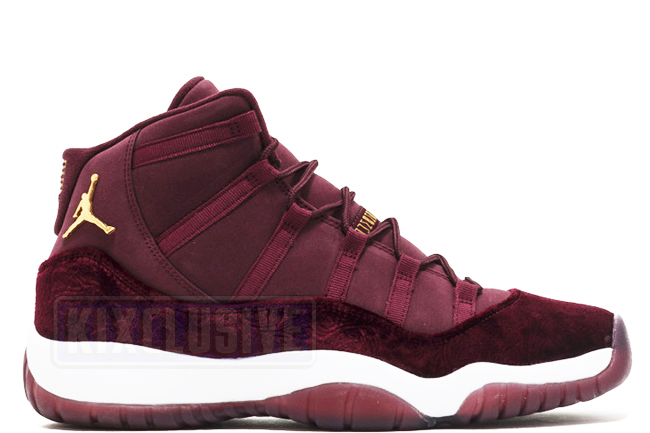 Part of the Heiress Collection, this Air Jordan 11 features a premium nubuck leather and velvet upper accented with a metallic gold Jumpman and finished with a translucent maroon outsole. A truly unique and very limited release.